Maria Shelby is coordinating the 2012 July 4th event for our community and she is looking for volunteers and sponsors to assist her in planning the event. As you know, we are having our Grand Opening on April 14th with Mack Brown. We anticipate quite a large crowd. We have arranged to have 2 APD officers on-site for crowd control as well as a shuttle service that will be picking up members from the nearby ACC campus. Parking will not be available at our site. We will be encouraging all event goers to park at the ACC campus. I wanted you to be aware that even with our good intentions; there may be some that will park on the street on Scofield and surrounding areas. We do anticipate that this will be kept to a minimum. 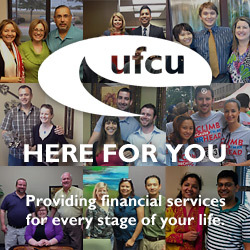 Please see the UFCU Web site for further details. Note: we will be having a public meeting on Saturday, 03/24 from 3-4 pm at the Original Pancake House to do a final review of playground proposals and take input prior to the board vote on 03/26. The board mtgs are chock full of agenda items and would never allow us ample time for a robust playground discussion. Thus we are having the stand alone session on 03/24. Review and approve minutes of the Board meeting held February 2, 2012. The time of year is here to enjoy some outdoor fun with your family. Your Scofield Farms board members and volunteers have a few springtime activities to get you started. Spring is also the time of year to begin making improvements to your yard and property to maintain our neighborhood. The Residential Homeowners Association (ROA) board has been doing our part to maintain the neighborhood integrity. Below are specific items we are working on to sustain your property values through our joint community property within the neighborhood. Please do your part by maintaining your own property so we can all live in a safe and appealing environment. 1. New storage unit: The ROA has received bids to install an ACC approved storage shed in the grassy area within the pool fence. Currently we pay monthly storage fees at a facility off site. The long-term savings of installing this unit will assist with future projects for neighborhood improvements. The ROA will have the shed installed within the next month. The storage shed will also serve as an example of what an approved structure should look like if you should choose a shed installation within your own property. 2. New playground equipment: The ROA is working with playground consultants as well as a volunteer neighborhood committee to select and install new playground equipment next to the pool. The current equipment is in much need of replacement, given the age and condition. We hope to have final decisions made by the end of March with an install of the new equipment 6-7 weeks after selection. The playground is a valuable asset to the community and keeping the equipment up-to-date will improve our community value. We also intend to collaborate with the City on a larger playground in the nearby City Park. This is a long-term project and will involve many stakeholders and will take time to bring to fruition. 3. New Community website, Forum and SF Instant Communicator – Please bookmark the following link and visit often for news, forms, contacts, event information, forum discussions and more. See http://scofieldfarms.org. The ROA will be posting official communications on the website and will also be sending official communications via email for all community members that provide email addresses to the ROA. If you are a forum member you are automatically placed on the email list. If you would like to be on the email list but not on the forum, you can visit the website and join the email list. Scofield Farms Instant Communicator was created as a means of quickly disseminating security and other important alerts to members of the community that wish to participate. It is not intended to be used for discussions. In order to participate you need either a smart phone or a phone that can send and receive text messages. See the website for more details. Please feel free to email webmaster@scofieldfarms.org for any questions. 4. Architectural Control Committee: Many of our yards are moving into spring time with dead grass, trees, shrubs, etc, sometimes due to neglect but most commonly due to the severe drought conditions last summer. You are encouraged to survey your property and take appropriate action to replace dead grass, trees, shrubs, etc. If you are doing more than simple replacement of damaged landscaping such as redesigning your landscape, please submit an ACC approval request form. If your lawn is in sad shape please take care of the required maintenance without the added expense of an ROA enforcement case against you. Do your part to keep our neighborhood looking nice. CMA, our property management company will be in touch if you are out of compliance and to help you establish a plan and timeline for re-establishing your yard, if necessary. Please note that the ROA board is very supportive of xeriscaped yards IF they are installed following an ACC approved plan. 5. Fence repair/replacement – Many of our ROA’s homes have very deteriorated cedar privacy fences (rotted posts, pickets and gates). You are encouraged to survey your fence and take appropriate action. In many cases full replacement is warranted. Please collaborate with your neighbors on shared fence replacement/repair. Please note that our ROA guidelines require 1×4 Western Red Cedar pickets. Please specify only these type pickets when you purchase materials or talk to a contractor. Any deviations from the guidelines will require ACC approval. Review the new ROA website for the guidelines and to establish a list of contractors some of your neighbors have used to replace their fence. 6. Community Pool – The pool committee continues to offer excellence in attention to detail by maintaining our neighborhood pool. The committee is made up exclusively of neighborhood volunteers who help assure our pool is clean and in good working order. The community pool will open April 1 with a neighborhood celebration from 3:30-6:00 pm. We are planning this as an ice cream social, complete with a Jazz band to welcome everyone to the 2012 pool season. Also, please review the new website to view the lifeguard schedule for the 2012 pool season. 7. Architectural Control Committee (ACC) approvals – Your property covenants require you to have written approval from the ROA’s ACC prior to modifications to your property. Examples of items you need ACC approval for include but are not limited to: building a shed, deck, redesigning landscape or installing nonstandard fencing, and changing the color of your home’s exterior paint. We have a very fast and easy submittal and review process. There is no valid reason not to comply. In several recent cases, our ACC volunteers have used their expertise to alert applicants to problems in their contractor’s proposal. When in doubt – please ask for guidance from our property manager, Jennifer English at CMA, 512-339-6962, or jenglish@cma.com to avoid enforcement and fines. 8. Private security patrol pilot test – Scofield ROA, in collaboration with The Ridge HOA, hired a security firm for a 6-month trial period to patrol the two neighborhoods at random times. After careful evaluation, we have decided we will get a much better return on our investment by implementing a quality Neighborhood Watch system. Board member, Paul Maine has made available a cell phone alert system (SF Instant Communicator). Please review the ROA’s website for additional information on joining this growing web of neighbors with instant alert ability to report suspicious activity in the neighborhood. 9. Board Update – As a reminder to the neighborhood residents, the officers for 2011-12 are as follows: President – Shelley Karn, Vice President – David Negrete, Secretary – Emmett Bills, Treasurer – Paul Maine, Director-at-Large – Stephen Walden. We welcome interested individuals to become involved in the Scofield Farms ROA. 10. Annual meeting: Save the date-The ROA annual meeting will be held May 22 from 7-9 at Westview Middle School. Please join us in a review of activities and a discussion about our community’s future. In closing, I wish to commend our many volunteers for helping make our community a special place to live. We look forward to working with you to improve our community. Please do not hesitate to contact me if you have any questions or concerns. In collaboration with the The Ridge at Scofield Farms neighborhood wide garage sale, the Scofield Farms neighborhood wide garage sale will be held Saturday, March 24th starting at 7AM located at your home (driveway, yard). It will NOT be held at a central location. Be ready for early-birds!!! Advertising in the Statesman will be paid by the HOA. We will be advertising in the actual newspaper that gets delivered to doorsteps each morning AND online at www.statesman.com. Advertisements on Craigslist, eBay classifieds and garagesalefinder.com (a map-based website) are also being pursued. Our goal is to help each customer locate each garage sale easily and quickly. Jenny will post signs along Metric & at the entrances. To get as much customer traffic as possible, the Ridge Social Committee is considering posting signs at Howard Lane & Scofield Ridge Parkway, Metric & Parmer AND at the Mopac frontage road and Scofield Ridge Parkway.